every child that is born, has its own angel, and his name is-mom. A mother teaches her baby from infancy to old age, cares about it, not seeing it as an adult. She is always ready to hug and support in difficult moments of life and enjoy his first tentative steps, words and any achievements. Mother and child – a picture that always touches a man who sees this pair. 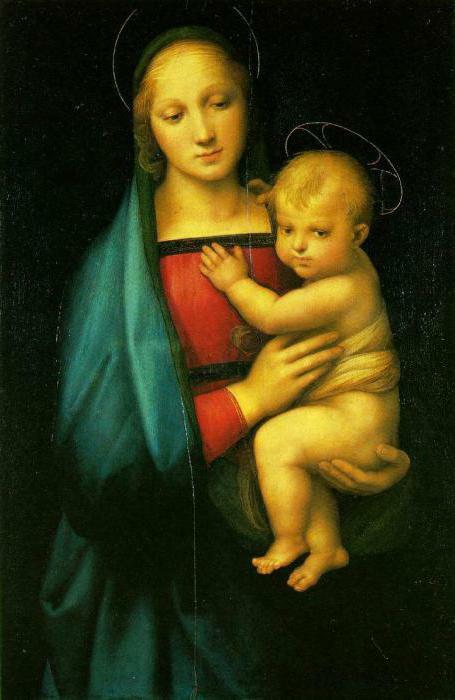 Now before you early work of Renaissance genius Raphael. Her baby is gently pressed to the mom who feels hard, tragic life path of the son, and therefore looks sad and pensive. I guess in every country with respect and love children have for their mothers. Because almost everybody got the occasion – mothers Day. In Russia it is celebrated on the last Sunday of November. We commend the noble work of the mother and maternal impulses of the soul, not waiting for any reward. Mother and child – the painting, which was written almost every artist in the world, learning the secrets of motherhood. 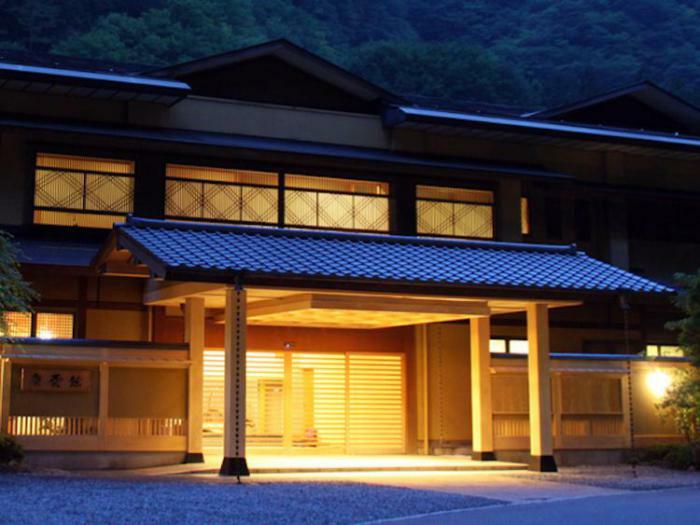 From the paintings on this theme emanates a special light. They purify our souls. 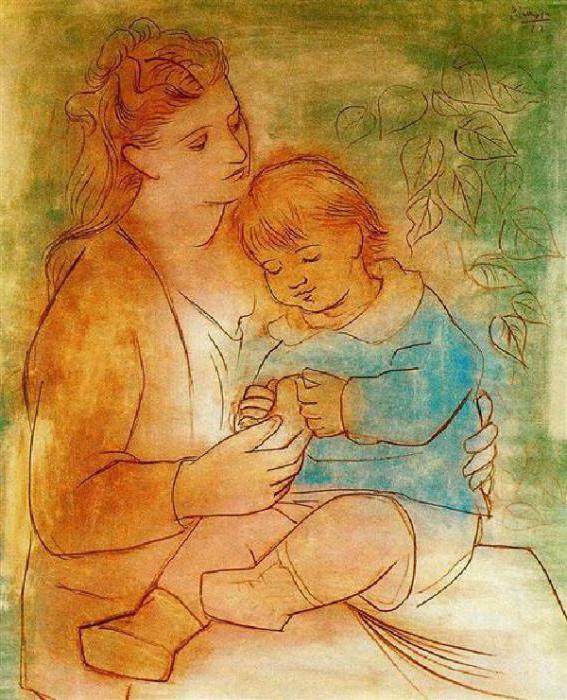 Picture of the “Mother and child” artists V. Bergero, A. Deineka, D. Rivera, M. Vigee-Lebrun, M. Chagall, P. Renoir, V. van Gogh, Z. Serebryakova and many others adorn private collections and museums around the world. The painters gave their works different names and wrote them in all ages. Now we will present you some of them. 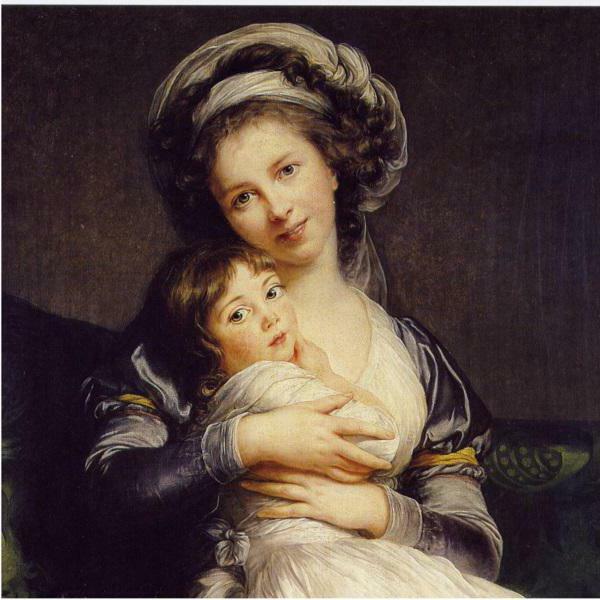 Here You see a self-portrait of the artist M. Vigee-Lebrun turban with her daughter Julie (1786). A young mother full of inexplicable attraction. She gently and carefully and is holding a charming baby. In Russian icons, canvases by Russian artists you can see the image of the mother. The picture “Mother and child” in the work of our artists significant place. 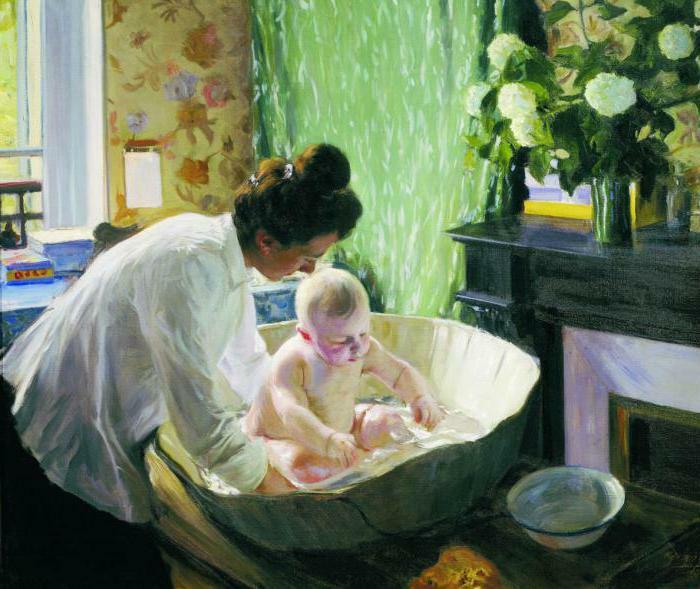 Only the brief enumeration of the names can give an idea about the significance of motherhood for the Russian masters: A. Venetsianov, K. Bryullov, K. Petrov-Vodkin, A. Deineka, A. Plastov, Yuri Kugach, K. Vasilev. here are “Morning” by B. M. Kustodiev. Canvas is written in Paris. The canvas depicts a loving and devoted wife and mother, Julia, who recently gave birth to a son Cyril. With love and tenderness shows in the picture mother and child by a brilliant painter. Sunlight fills the small room. Julia Evstafevna who is dressed in an easy white blouse and a black skirt, raised hair in a high hairstyle. Handfuls she collects water to water boy. Chubby bald kid sits quietly. Only Kirill tries to repeat the movements of his mother: he pulls the handle to the water. The father looks with admiration to this ordinary scene and completely tries to convey a portrait likeness of her first child. Their apartment is not big, but cozy and tidy. It is now warm, and the fire is not kindled. It is a vase with chrysanthemums. All the viewer is the joy of this lovely home. Mother and child – this theme has been repeated in works of the great Spaniard. In the blue and rose period paintings full of melancholy and sadness ( 1900 - ies). But in 20 years, when he finally married Olga Khokhlova, a ballerina of Diaghilev's ballet, and he had a son, Paulo, everything changes. At the request of his wife style becomes a classic. So, in 1922 we see a mother with a child three or four years that keeps him on his knees. Gentle color of the picture. Green background with drawn leaves give the impression that Olga and Paulo are in the garden. They are lit by the Golden rays of the sun. Budderball is dressed in a pale blue shirt. Picasso painting “Mother and child” breathes harmony and peace. In it we see a great master of drawing and colourist. 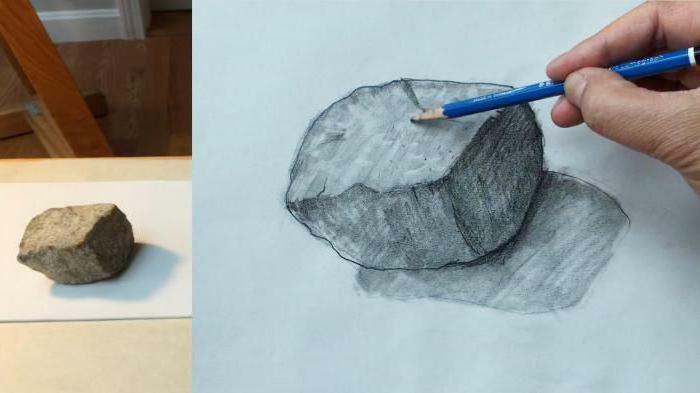 Later, when the artist breaks up with his Muse, he'll be back to cubism. Then it will be impossible to find resemblance in his works. But it will be later in the 30-th and 40-th years, when he will have three more children. However, such tender portraits of the artist will never create. love for the woman who gave birth to a little miracle-child, moved all the painters who took up the subject of motherhood. They are in the works glorified the everyday and festive life filled with worries and concerns on raising children. His paintings of the artists bring the viewer back to his own childhood. Before us come alive picture of happy and carefree time, which is able to create our mom, as difficult as they did not have. Childhood with my mother filled with amazing discoveries, which makes baby and mom teaches him the true way of life. These paintings remind us adults about the simple joys and fill your life with sunshine.